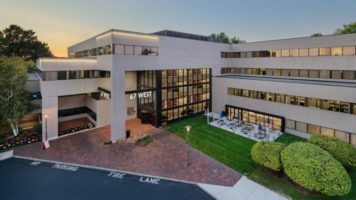 Boston, MA (September 17, 2018): Cushman & Wakefield announced that the firm has been appointed as the exclusive leasing agent for 333 Providence Highway in Norwood, MA, which the The Davis Companies recently acquired and now manages. Cushman & Wakefield’s leasing team includes Managing Director Rob Byrne, Executive Director Paul Leone, Managing Director Ryan Romano, Senior Associate George O’Connor and Associate Philip Verre. 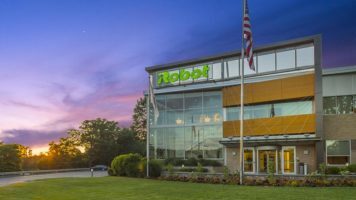 Located less than two miles from Route 128, and fronting Route 1 which is travelled by 65,000 vehicles a day, the property consists of two buildings totaling 86,450 SF. The highly-improved South Building has 43,850 SF of Class A Office and Biotech lab space and the North Building has 26,500 SF of available Flex/R&D/Office space. The Davis Companies took over management of 333 Providence Highway in April 2018. “We are excited to reintroduce the property to the market,” said Matthew Katz, VP of Asset Management. “The South Building is currently occupied by biotech company, ImmunoGen. The space has benefited from over $10 million in investment over the past 10 years and will be available in April 2019. Cushman & Wakefield’s Boston office provides a complete suite of commercial real estate services for the entire lifecycle of properties and portfolios. Cushman & Wakefield is a leading global real estate services firm that delivers exceptional value by putting ideas into action for real estate occupiers and owners. Cushman & Wakefield is among the largest real estate services firms with 48,000 employees in approximately 400 offices and 70 countries. In 2017, the firm had revenue of $6.9 billion across core services of property, facilities and project management, leasing, capital markets, advisory and other services. To learn more, visit www.cushmanwakefield.com or follow @CushWake on Twitter.